If you want to treat someone to the classics but you’re not sure where to begin, these are the products that deliver time and time again. 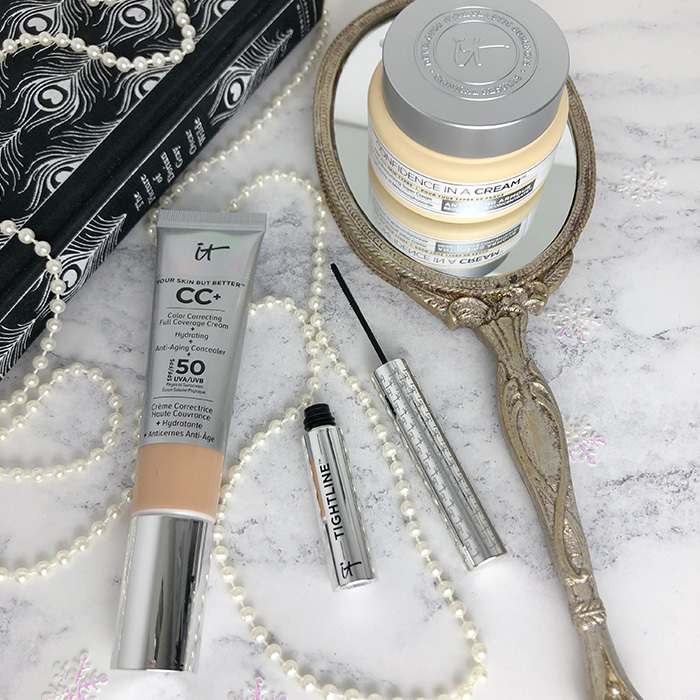 CC+ Cream is the ultimate IT Girl staple, offering all of your skincare and make-up in one simple tube. 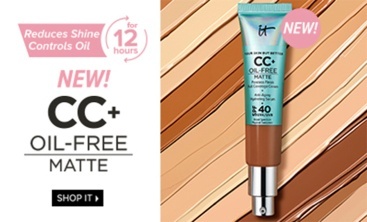 Bye Bye Under Eye Concealer will revolutionise her make-up bag, offering completely full coverage and a comfortable, crease-proof wear. 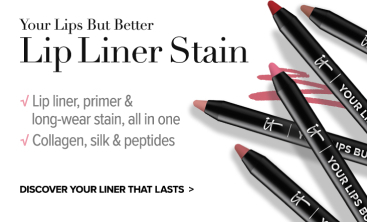 Brow Power is a one-for-all brow tool, available in one universal shade that you can make deeper or lighter depending on how much pressure you use when you apply it. Also, for every one sold we donate one to Look Good, Feel Better, so this is a charitable hero that we are really proud of. And to set the whole look off? Superhero Mascara improves lash volume with just one coat, and it is infused with Biotin so it will encourage lash growth with every application. Confidence in a Cream can be used on its own or as a moisturizing base to prepare your skin for makeup. For mum, I’d keep it simple and just give her the very best of the best. Confidence in a Cream, a rich, nourishing moisturiser, will comfort and nourish her skin and is suitable for all skin types. 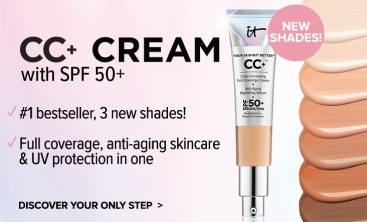 CC+ Cream, the IT Girl staple that everyone loves, is her full make-up and skincare routine in one, which will cut her getting ready time in half each morning and leave her skin looking luminous. 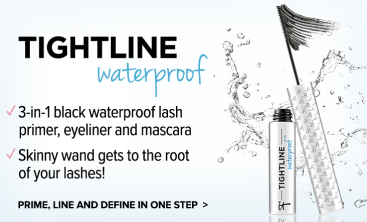 And finally, our Tightline Mascara will use a tiny little wand to catch every single lash hair, making it the ideal make-up hack for a busy mom who might not have had quite as much sleep as she’d like to. 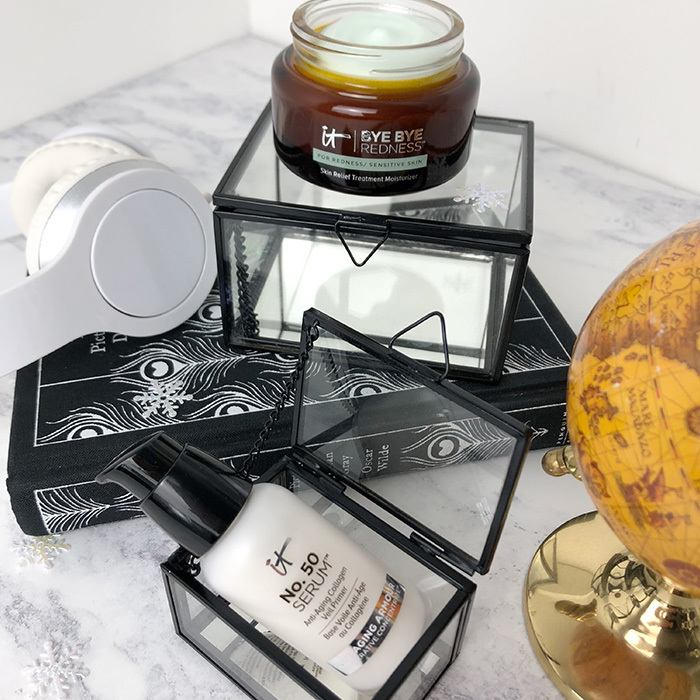 If you have a special IT Guy in your life who deserves the world (or, more to the point, you’re sick of him stealing your stash) I’d simply treat him to two skincare classics. Bye Bye Redness Moisturiser is ideal for calming the skin. With aloe and colloidal oatmeal in the formula, this is ideal as a soothing post-shave treatment. And for every other day, there’s No.50 Serum. 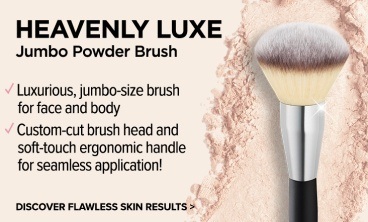 Earning it’s name because of the number of active ingredients in the formula. If you were to look in my make-up bag on any given day, these are all things that are you would find in there. 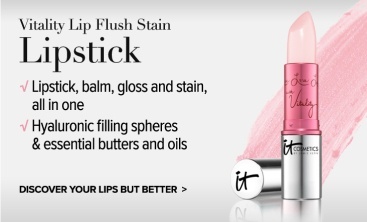 Je Ne Sais Quoi Buttery Lip Balm is my holy grail. And as for the name sake palette? 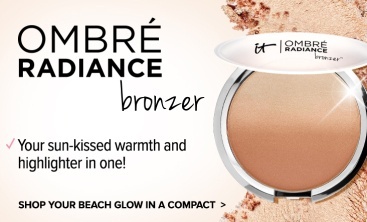 It’s my powder, blush, bronzer and highlighter all in one. 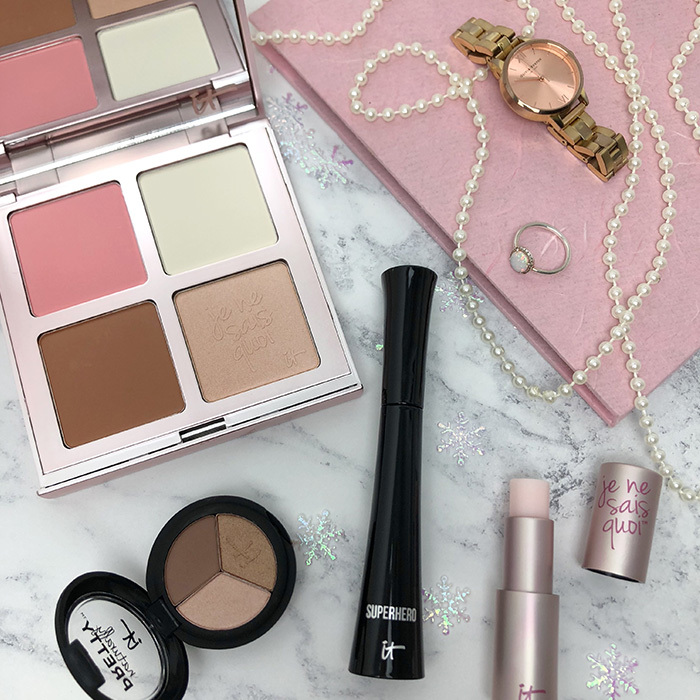 Whether I’m at home or doing my make-up on the go, it makes my getting ready time quick and easy. Naturally Pretty Trio is a total smoky eye must-have. 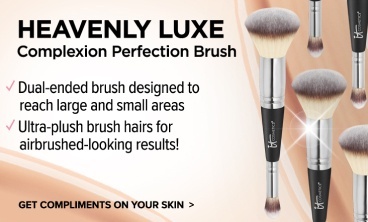 My fave shade is Pearl Luxe because these neutral smoky shimmers will make every eye colour pop. 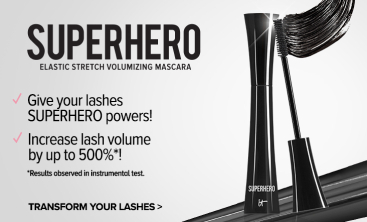 Superhero Mascara lives up to it’s name, and gives unparalleled volume and length. I’m yet to meet someone who isn’t wowed by this. Still not sure how to narrow it down? Send me a message on Instagram @MixedGemsBeauty and let’s navigate this together. Looking forward to hearing from you! "When I think of Christmas, I think of Christmas markets, good food with good friends, and the excitement of seeing someone you love open a gift you chose especially for them. 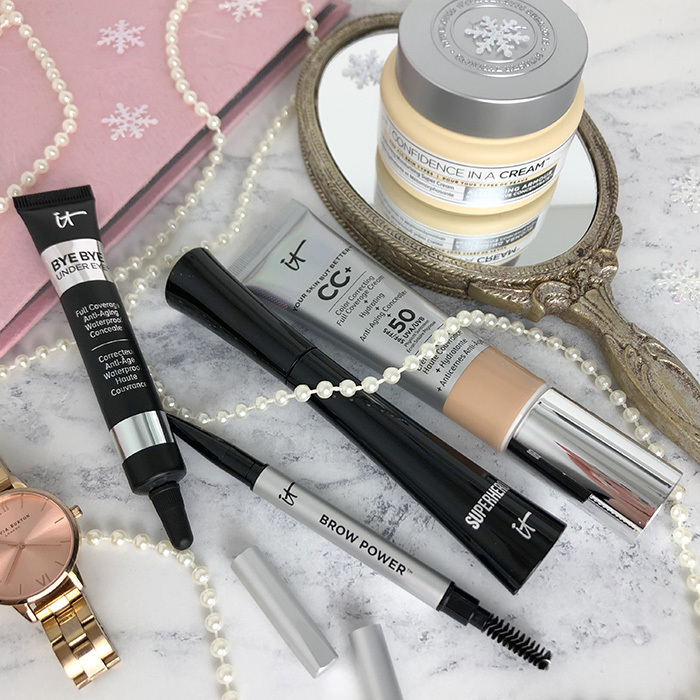 To help you to find the perfect Christmas gift, I’ve created this edit of my favourite IT Cosmetics products for everyone in your life. 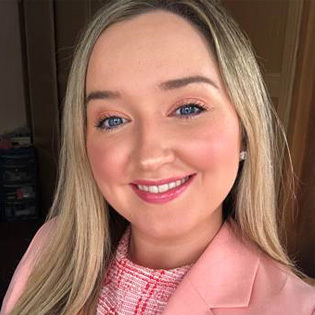 As their UK and Ireland Brand Ambassador, I travel the country and speak to so many people every day about which products of ours they love. Here are my picks based on what I use the most and others tell me they love the most! Still struggling? 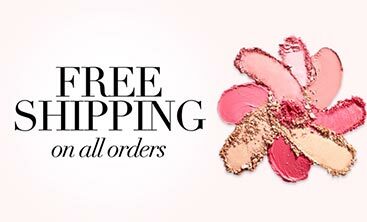 Send me a message on Instagram @MixedGemsBeauty and we’ll come up with something great together."